In my opinion, spring is the most enjoyable time to be a runner. The harsh cold of winter has left, temps are perfectly comfortable and new blooms line the sidewalks. What’s not to love?! However, spring flowers wouldn’t be possible without spring showers. The good news is rain doesn’t have to keep you on the treadmill. 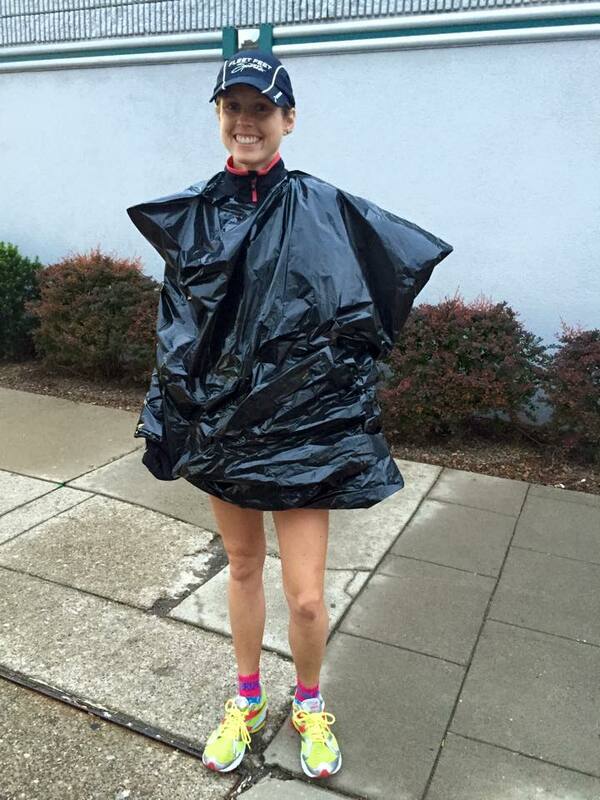 Running – and even racing – in the rain can be a fun experience so long as you dress for it. 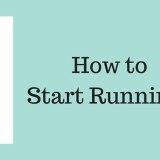 Here are some tips to keep your next rainy run from getting soggy! 1. Accept that you’re going to get wet. Once you’re wet you aren’t going to get wetter. Water will find it’s way in no matter how much you paid for your jacket, and because of this, it’s all about the layering. Dress for as if it’s 10-15 degrees warmer. Over dressing for a rainy run will only weigh you down and extra wet clothes will not keep you warmer. If it’s colder (upper30s-40s) or windy consider a windproof jacket/shell. Wicking socks are your best friend. Prevent blisters and chaffing on your feet by wearing socks that will pull moisture away and the more mesh your shoes the easier water can escape so you don’t feel you’re running in fish bowls. Wearing a hat or visor will keep you sane. Squinting to keep the rain out or wiping your eyes every 10 steps will get old fast. If you’re in a race this isn’t a huge concern as the course is likely closed, but if you’re venturing out on your own, wear reflective clothing. People forget how to drive in the rain and you are the least of their concerns. Be aware and consider leaving the music at home. (Sidenote: if you do take music, put your electronics in a plastic baggie). Running in the rain can be a blast and you will instantly feel more badass! 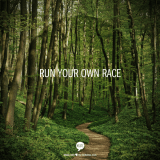 Have fun splashing your way through your run, just be sure to dry out your shoes so you can do it again soon.